Considering how much we love KTM’s 1290 Super Duke R (we did give it our Bike of the Year award, after all), you can see why we can’t wait to ride the next missile to come equipped with that engine, the 1290 Super Adventure R. KTM categorizes the Super Adventure as being a “travel enduro” bike, meaning, to properly evaluate it, we’ll have to pile an abnormally large amount of miles on the thing. Fine with us, as its freakishly large 7.9-gallon fuel tank means gas stops will be few and far between. 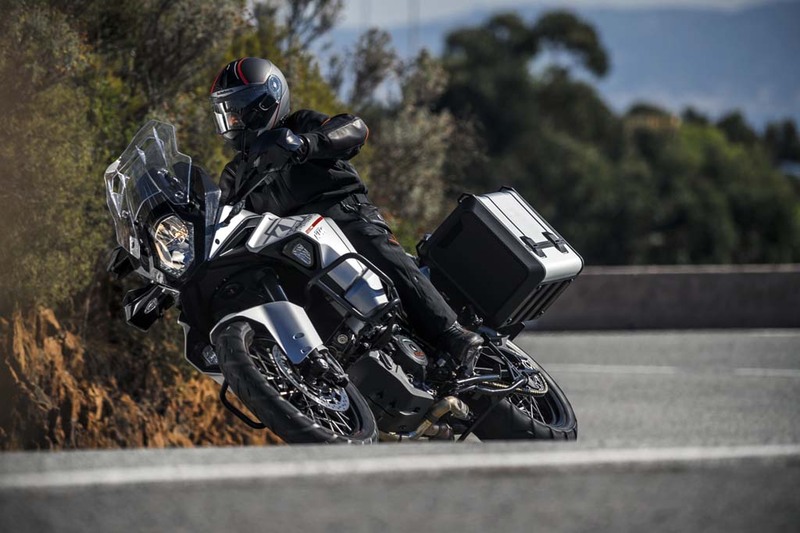 And get a look at just a sample of the electronics the $20,499 Super Adventure R comes with: semi-active, long-travel suspension, cornering ABS, traction control, cruise control, tire pressure monitors, cornering headlights, and hill-hold control. Combine that with its big windscreen and even bigger saddlebags, and a trip around the world might almost seem like a Sunday stroll.